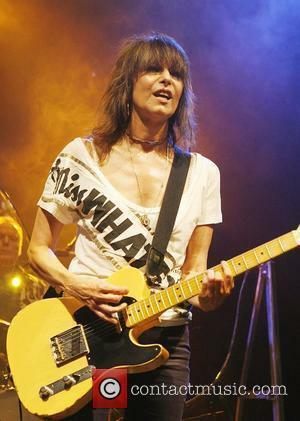 American expatriate Chrissie Hynde formed The Pretenders in 1978 while working in London and continues to be the band's driving force today. More than 25 years after the hard rocking quartet's original lineupÃ¢Â€Â”Hynde, guitarist James Honeyman Scott, bassist Pete Farndon and drummer Martin ChambersÃ¢Â€Â”launched the band's hit-making expedition, Rhino Records shivers ye timbers with Pirate Radio. The Pretenders' career-spanning boxed set includes four discs and a single DVD and is available March 14 at regular retail outlets for a suggested price of $74.98. The collectionÃ¢Â€Â”81 tracks and 19 videosÃ¢Â€Â”contains more than five hours of The Pretenders' best from all eight of the band's studio recordings plus soundtrack contributions and live recordings. Pirate Radio brings together the band's essential recordings with hard-to-find rarities and unreleased studio and live recordings. The DVD compiles the band's British television performances along with unreleased concert recordings from 1979-1995. The Pretenders' musical evolution plays out over the course of PIRATE RADIO's four discs starting with the band's scrappy, early days in LondonÃ¢Â€Â”including a previously unreleased 1978 demo of "Precious" and the band's first two singles, "Stop Your Sobbing" and "The Wait." 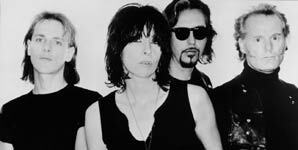 Starting in 1979, the band began a successful two-year run that included two albums and an EPÃ¢Â€Â”Pretenders (1979) and Pretenders II (1981) and Extended Play (1981)Ã¢Â€Â”that boasted some of the band's biggest hits such as "Brass In Pocket," "Message Of Love" and "I Go To Sleep." "Tattooed Love Boys/Up the Neck"